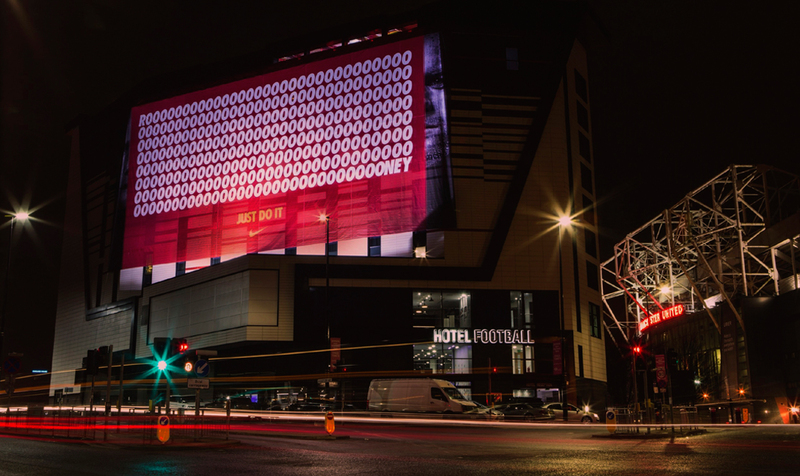 On behalf of Wieden & Kennedy, we produced and installed this huge PVC mesh banner for Nike to celebrate Rooney’s 250th goal for Manchester United. Production included printing onto 40m PVC mesh banner produced in sections and welded together, then reinforced with a seat belt Hem. 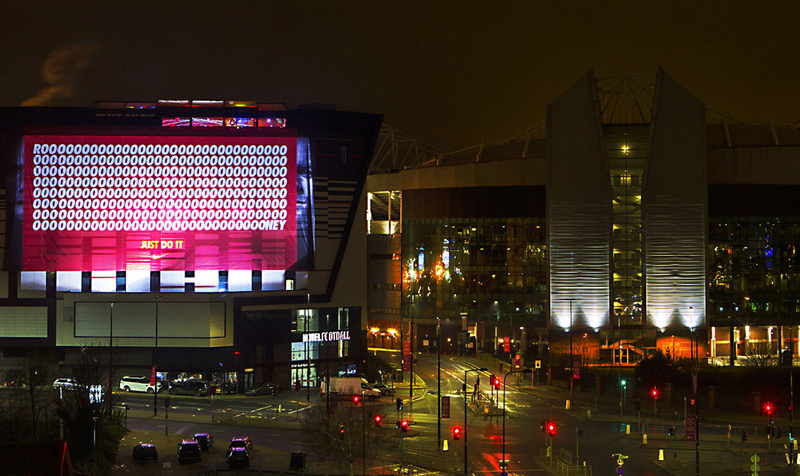 Our experienced rigging team hoisted the banner to the top of The Football Hotel, which is adjacent to Old Trafford Stadium, and revealed it within two hours of Rooney scoring the goal.